Iran and China plan to jointly build a factory in the north western city of Meshkinshahr in Ardabil Province to produce LED lamps, the governor of the province said. "Iran, in cooperation with Chinese investors, will launch a production unit in the province’s industrial town to manufacture LED lamps," Akbar Samadi said. He added that the factory needs 100 billion rials of finance to come on steam and China will supply this, IRNA news agency reported. Samadi further said that jobs for more than 200 people would be created with the completion of the first phase of the factory. "Chinese investors are trying hard to open the factory and produce nearly 12,500 LED lamps per day," he said. The construction of the company is aimed at reducing the import of LED lamps to the country and creating more jobs. 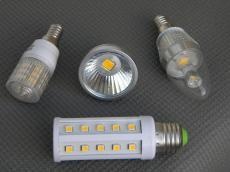 More than 2,000 tons of LED lamps worth $19 million were imported into Iran during the last fiscal year (March 2017-18), figures released by the Islamic Republic of Iran Customs Administration show. China, Germany, the UAE, Turkey and South Korea were the main exporters. LED lamps use light-emitting diode and have a lifespan and electrical efficiency that are several times greater than incandescent lamps. These are significantly more efficient than most fluorescent lamps.